Dimensions : 57 H x 62 W x 48 D cm. What a beautiful piece of furniture . 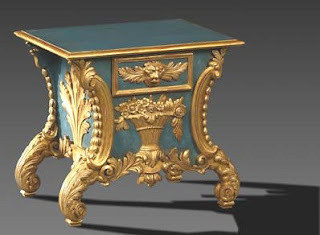 this commode is all the beauty of art.Love it!!! I have subscribed to your blog, thank you. I look forward to receiving your information. I need full frontal side and top pictures and close up hi res otherwise how can i tell there not fake plastic? it is just really gorgeous. I just wish that furniture today was made that well. Such wonderful detail.